There are currently 40 listings in your search results. Prime Commercial Location, Perfect for Development! Located north of Sumner, IL, on Highway 250/Business 50 at intersection with US Highway 50 near Peoples State Bank building. Dwelling and outbuilding also onsite. Municipal water access available. Call for more details! Wooded acreage is great for trail riding, hunting, and enjoying nature. You will enjoy this land and home! Home could make a great weekend retreat, hunting lodge, or primary dwelling. 2500 +/- sf white cedar log cabin with new full walkout basement and built-in garage. Fireplace in upstairs master bedroom suite will keep you warm and toasty on a cold winter's night. Entertain downstairs in your open concept kitchen and great room with fireplace. The home was recently moved and some finishing touches are underway. As-Is List Price is $230,000. Once owner installs porch, porch stairway, stairway leading from basement to kitchen, HVAC, garage doors, basement windows, septic, and hook ups to water and electric, Completed List Price is $269.000. 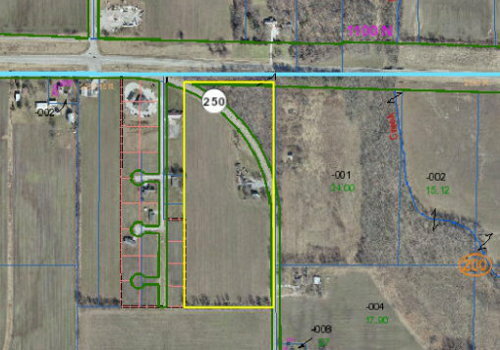 Commercial Building w/ 8370 SF M/L GBA Having 166' of Highway Frontage on IL Highway 1 South of Lawrenceville, IL. This Site Is Located In A Proposed Opportunity Zone Which If Enacted in 2019 Could Enable A Purchaser To Certain Tax Benefits. Structure Has Multiple Updates Including Roofing, Plumbing, Electrical, HVAC, ETC. Building could be used for multiple commercial uses including but not limited to offices, banquet/event hall, retail, wholesale, flee market, small trucking, service industries, and even a home business since the building has attractive usable living space. Must see to believe. Two Modern Public Bathrooms & Kitchen in building. Most office furniture and other furniture on-site will be included with sale. Major improvements/upgrades to the building have been completed during the last 10 years in addition to major systems including other interior finishing including drywall, floor coverings, paint, etc. Building is "like new" inside. NEW PRICE This beautiful secluded country home is just what you have been looking for! Located in beautiful Lukin Township, with tons of wildlife and 5 partially wooded acres! It is 4 bedroom, 2 bathroom, with a partial unfinished basement. Recent updates include new roof, new siding, new windows, new doors, new furnace and AC, new flooring throughout, stainless steel appliances, and tile backsplash. Call today to view this listing! 0.47 Acre Lot located on SE Corner James Street & West Haven Rd. High traffic intersection in shopping district near schools. Lot is west of Ambraw Federal Credit Union & OReillys Auto Parts; east of McDonalds; north of ACE Hardware; and northeast of Walmart. Zoned B-3 Commercial Highway, this parcel has access to municipal sewers and water, electric, and gas. A fire hydrant is located only 75 feet from the site. Approximately 281' of highway frontage on James and West Haven combined. 25 Acres - Section 7 Township 3 North Range 12 West Bridgeport Township - Beautiful wooded land with several potential building sites and some harvestable timber. Ideal for hunting and ATV riding. 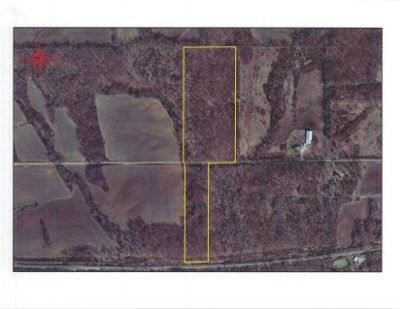 23 Acres Section 31 Township 4 North Range 11 West Lawrence Township - Wooded ground ideal for recreation such as ATV riding. Possibly some harvestable timber. Seller may consider selling tracts separately. 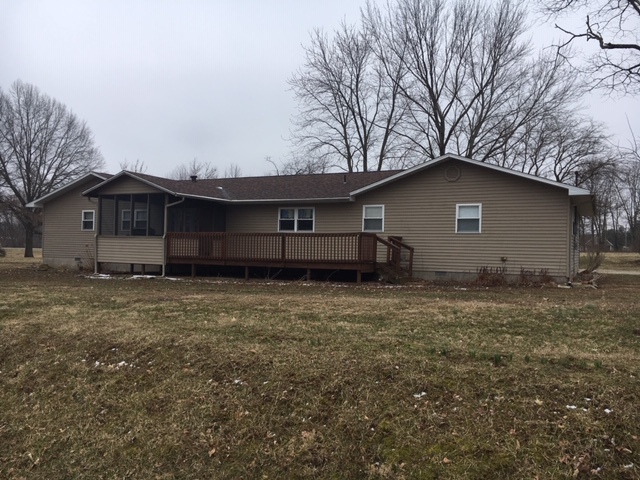 4 BR, 2 Bath country home located on 3 acres with many updates and improvements. Features include Living Room, Family Room, Dining Room, Remodeled Kitchen, Laundry Room, Wood Deck,Screened Porch, and much more. Recent updates include: New Siding, Windows, Electrical, High-Eff. HVAC, Water Heater, Entrance Doors, Guttering, and more. NEW PRICE Great secluded 4.55 acre site with fishing pond. This residence has 5 total rooms complete with 2 bedrooms, 2 baths, large living room, kitchen with all appliances, gas FWA and central A/C and full unfinished basement which could easily be converted to actual living area. Has 3-car detached garage. Home is less than 10 actual years and has been used as a "retreat site." If you want privacy and seclusion, this is an outstanding location. SOLD 1.5-story home with extremely large living/dining area with fireplace, large eat-in kitchen, 4-5 bedrooms, 3 baths, appliances, partial basement, 3+ car detached garage, wood deck for grilling. Country setting on approximately a half acre. Must see to appreciate the spaciousness. 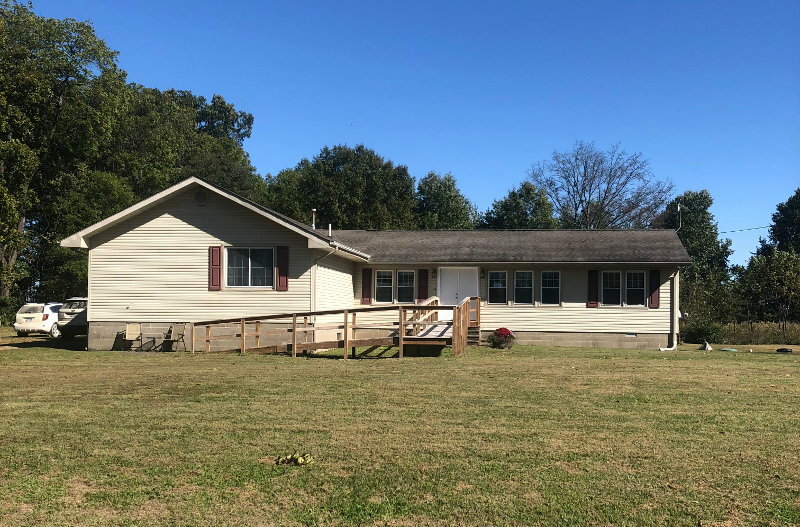 This beautiful piece of Lawrence County Real Estate could be a great spot for your future home or as an investment property. 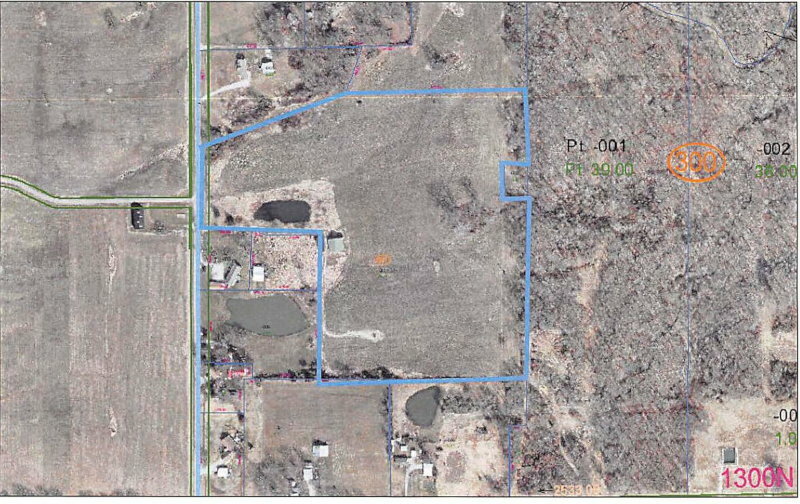 24.37 tillable acres located on Applegate Road, priced at only $5000.00 per acre this property won't last long! � Copyright 2002 - 2019 H.J. Rice - All Rights Reserved.